Penn vs. Gosling Match-up Sought for "Gangster Squad"
Harvey Keitel received his only Oscar nomination for his portrayal of Mickey Cohen in 1991's "Bugsy," and Paul Gilfoyle played the Brooklyn-born gangster six years later in "L.A. Confidential." Now Sean Penn is being sought to take the role. Warner Brothers is hoping to land Penn for the role of Cohen in "Gangster Squad," reported Deadline. The film will be director Reuben Fleischer of "Zombieland" fame. Even by the standards of the mafia, Cohen was a magnificent sociopath who first learned to fight as a teen in illegal boxing matches, and later spent time in prison from a number of murders that resulted from a card game gone awry. You can see where Penn might excel in such a role. Of course it wouldn't be a gangster film with a couple of white hats, and Ryan Gosling is being sought to play one of the two cops trying to bring down Cohen. 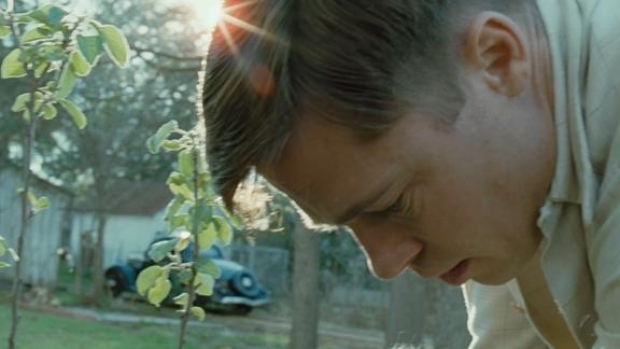 Director Terrence Malick's log-anticipated film about Jack (played in adulthood by Sean Penn), the eldest son of Midwestern parents (Brad Pitt and Jessica Chastain) in the '50s. The film opens May 27. Penn can next be seen May 18 in Terrence Malick's "Tree of Life," while Gosling's got "Crazy, Stupid, Love" arrives July 29, and Fleischer's "30 Minutes or Less," starring Jesse Eisenberg and Aziz Ansari, comes out Aug. 12.